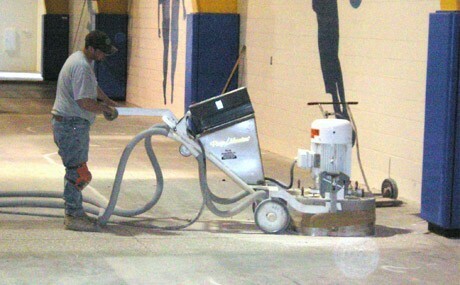 Surface preparation is the foundation of a quality floor finish. The surface may need to be prepared to a precise specification or it may only require a light cleaning. Precision prides itself on being able to provide clients efficient options to fulfill their needs. 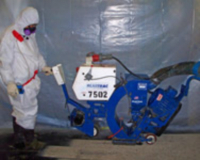 Precision uses a variety of specialized equipment on its flooring projects. Our sophisticated equipment is electric or propane powered making our work low-emission & dust free. "The purpose of this letter is to extend special recognition to the effort and performance provided by Precision Environmental on this very difficult project. The diligence Precision provided in the removal of the finish flooring, and underlayment material was instrumental in yielding a two-week improvement to our project schedule. Moreover, the fact that Precision completed this destructive work with little to no disruptions to the adjacent hospital operations is indicative of the care and conscientiousness of your workforce."